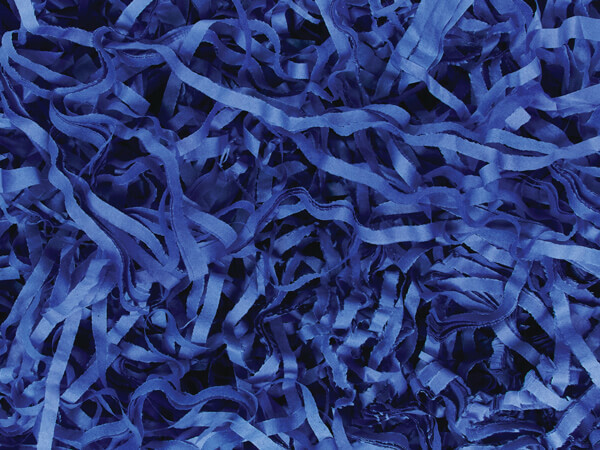 Dark Blue Tissue Shred in a 1 lb bag ~ Actual shred size is approximately 1/4". Green Way ® Eco-Friendly Packaging. Made in the USA.